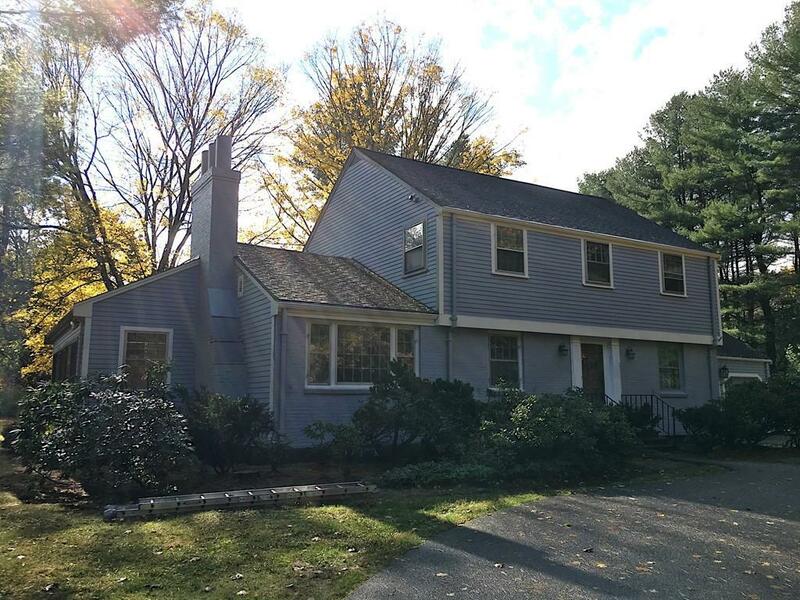 Charming 3 bedroom 2.5 bath colonial with two car garage set on a beautiful tree lined lot on the Dover/Wellesley line. Home is undergoing renovation and upgrades including complete interior and exterior paint; and will be available for first showings during the week of November 12th. Features include: master bath, large sun-room, partially finished basement, many architectural moldings and details, two fireplaces, attached two car garage, flat expansive backyard, and circular driveway. Flexible lease terms from six to twelve months. Monthly rent includes landscaping and snow removal. Note: Picture was taken during exterior painting; more recent interior and exterior photos to be posted soon. Listing courtesy of Jill Boudreau of Compass. Listing provided courtesy of Jill Boudreau of Compass.